An already hard to find edition. 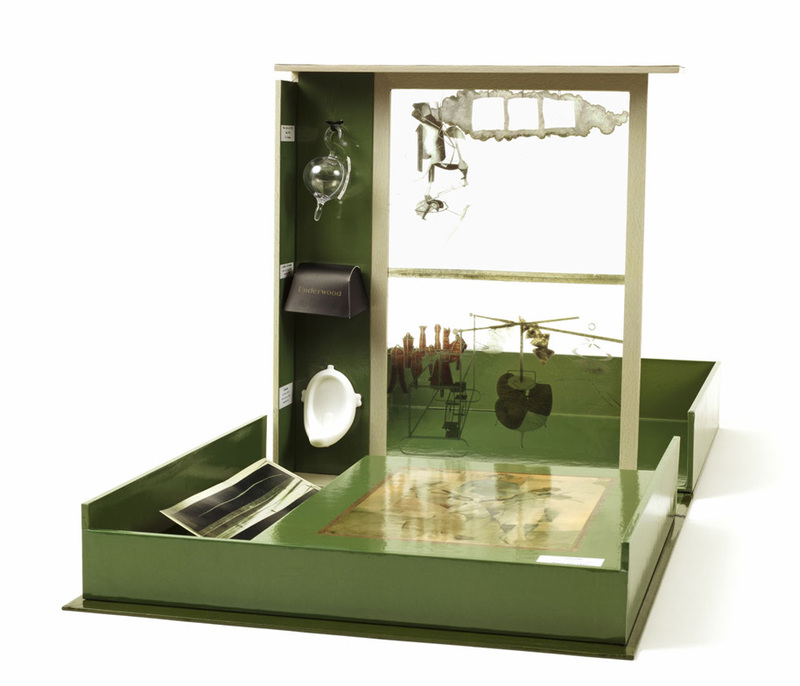 According to Duchamp, everything important he did could be put in a small suitcase. The idea behind this beautifully produced edition was to make available to all one of the most important pieces of the 20th Century Art where we can enjoy the most significant pieces produced by Duchamp in a small format. The French artist Mathieu Mercier has reinterpreted the original suitcase, finding new materials that could make the result affordable both to the public and as an edition. 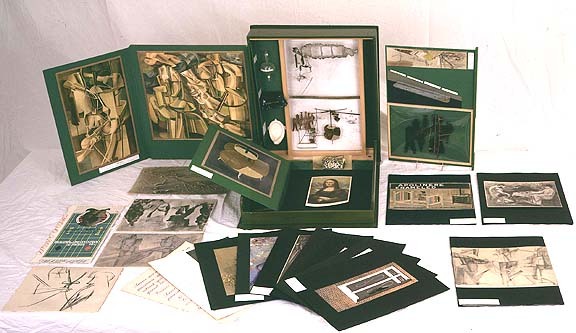 After getting over a production process that delayed the launch a good four or five months, this delicate piece of art encountered a public so hungry for a closer look at Duchamp’s valise, that what was meant to be a more democratic edition quickly became a collector’s item. The original version produced by Duchamp in the 40’s was an edition of 300 copies that now can only be seen behind a glass at the best. This new edition allows its owner to play with the museum, take off and in the pieces and spread them at wish. One can turn a complete room or even several rooms into a Duchamp’s museum by distributing the 69 reproductions of the artist’s creations. 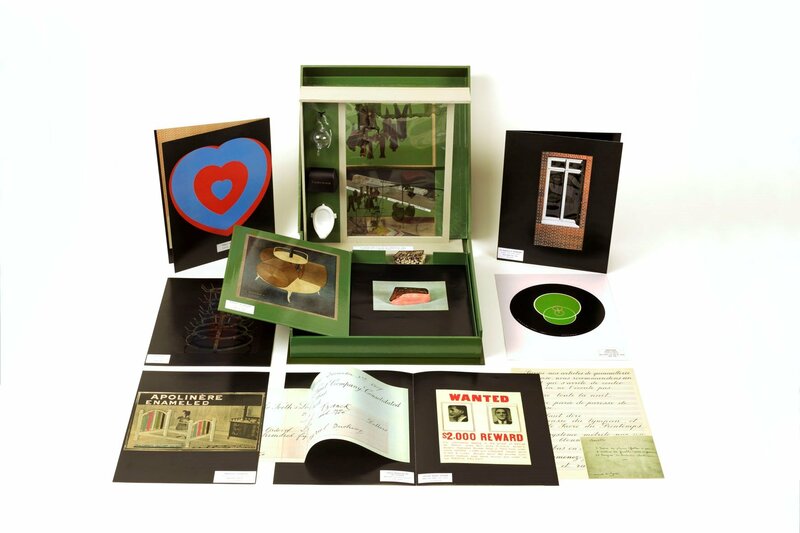 Ivorypress is selling now probably some of the last copies that can be found of this green box of wonders.